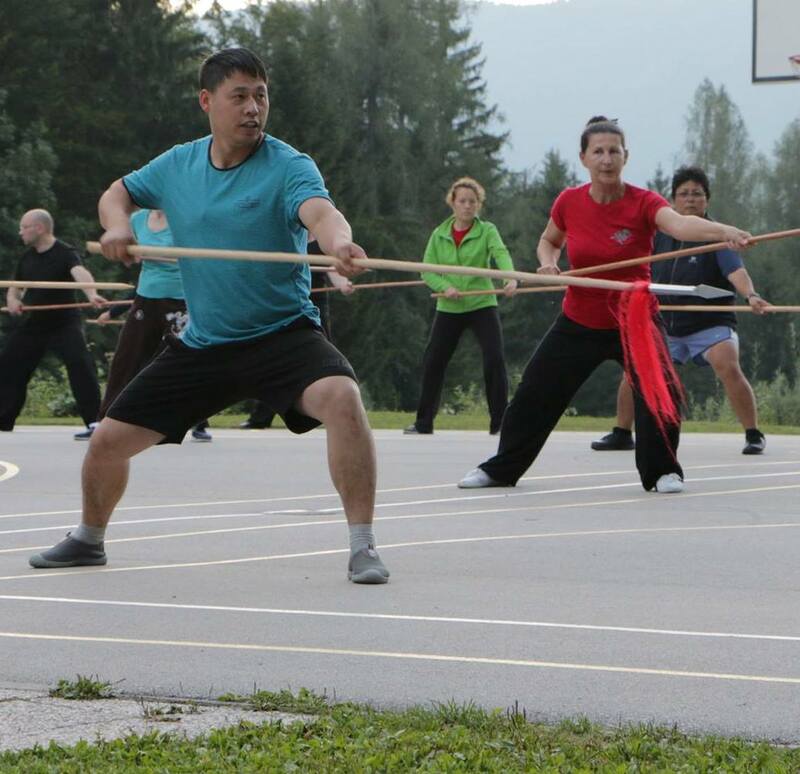 I returned last week from the Planica Olympic Training Centre in Slovenia where we took part in the Chenjiagou Taijiquan School’s First Advanced European Chen Taijiquan Camp. The chance to train with three senior instructors from the Chenjiagou Taijiquan School drawing participants from as far as Russia, Italy, Slovenia, Croatia, USA, Germany and a large contingent from our school in the UK. The event was organised in conjunction with our affiliated branches in Slovenia to continue to make available high quality traditional training available in Europe. For the six day camp GM Chen Xiaoxing led the training assisted by his two sons Chen Ziqiang and Chen Zijun. The Planica centre is a state of the art facility that draws elite athletes from around the world from many disciples but especially winter sports. Without a doubt the most striking feature of the venue are five progressively larger ski jumps situated by the entrance. Here many world records have been set including: the first 100m ski jump in 1935; the first 200m jump in 1994 by the legendary Toni Niemenen; and the current world record of 239 metres set in 2005. It was fun watching a transfixed Chen Xiaoxing marvelling at the flying ski jumpers of the Slovenian national team in the break after breakfast and before the mornings session got underway. The centre itself is decorated with many motivational images of successful Slovenian athletes. Interestingly the definition of success here is not just the winning an Olympic medal – and there were plenty of those, but of athletes who had reached their own personal potential. One of the first images I noticed showed four young 4 x 100m metre relay runners joyfully celebrating after the Sydney Olympics. I googled their event to see that the four guys had been eliminated after the first heat. Their achievement was making the Olympic Games. What a healthy attitude – celebrating real genuine effort and not decrying the efforts just because it doesn’t match the powerhouse nations in the event. 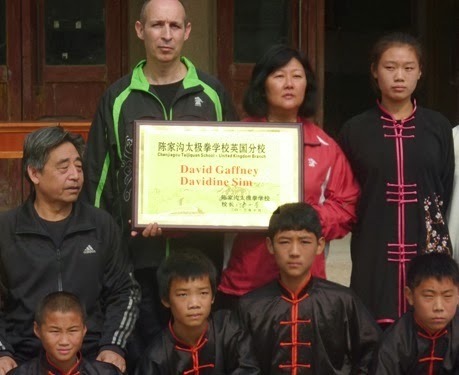 We could learn from this in the world of Taijiquan. On to the camp, training began each day at dawn and finished at dusk. Zhan zhuang and xinjia yilu with Chen Xiaoxing. 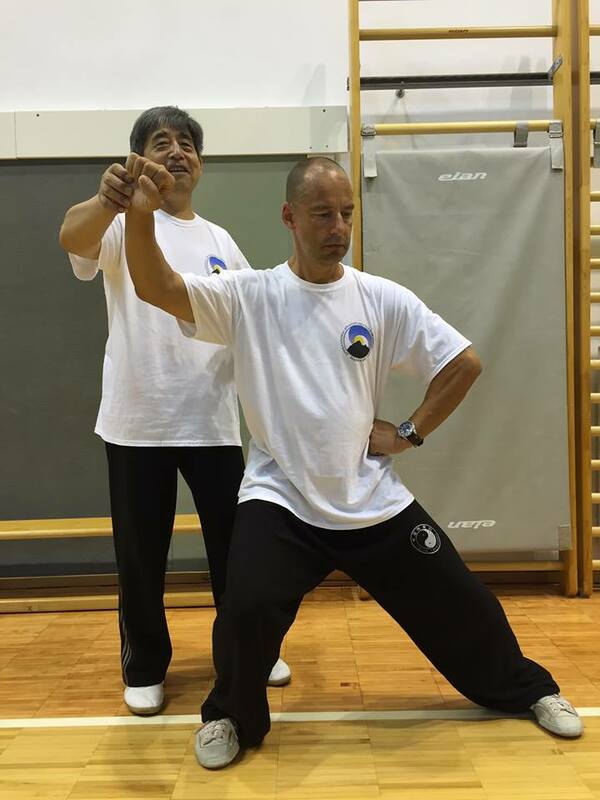 24 Spear on the first three evenings with Chen Zijun, an instructors lecture on the fourth evening then Double Mace with Chen Ziqiang on the final two evenings. There was lots of information and lots of effort: Chen Xiaoxing on the need for western people to have more confidence in feeling and less need to verbalise everything; Chen Zijun’s powerful performance interspersed with regular quiet instruction as people began to get flustered or try too hard, stand quietly, fang song (loosen up) and an jing or "be peaceful and tranquil", before beginning again; Chen Ziqiang’s insistence on understanding the function of each action with the weapon etc. All in all, it was a fantastic weeks training in an inspiring venue that left us all with lots of material to work on until the next time. 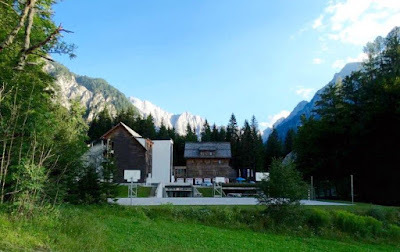 The atmosphere and history within Planica is one of an enduring pursuit for excellence. One of the great things of this camp was practicing Taijiquan in a setting alongside highly motivated athletes from other countries and disciplines: sitting in the food hall with young ski jumpers who had funded themselves to come here; watching a team of Italian winter sportsmen being put through challenging leg power drills watched intently Chen Ziqiang, no doubt getting new ideas of how to condition his young charges in Chenjiagou. 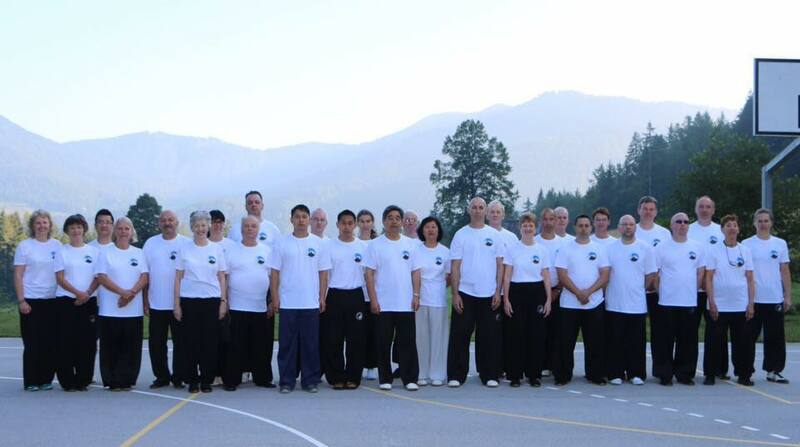 While the centre has been used by many other martial arts bodies over the years ours was the first Taijiquan group. As we were leaving 60 Taekwondo athletes were arriving from eight countries including Japan and Canada.